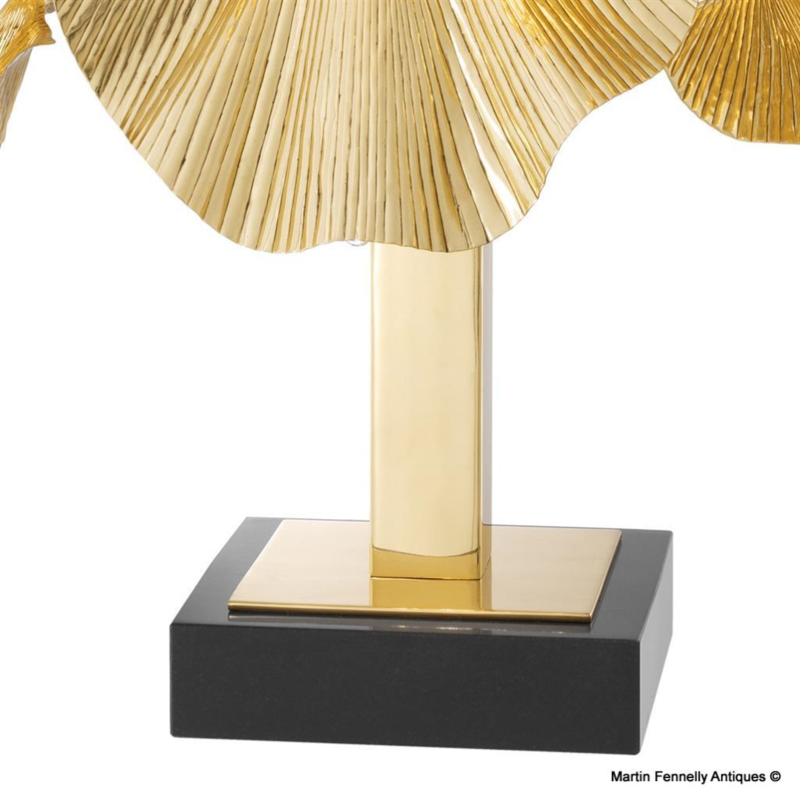 These are a Spectacular pair of Gingko Tree Lamps in Polished Brass and Granite. 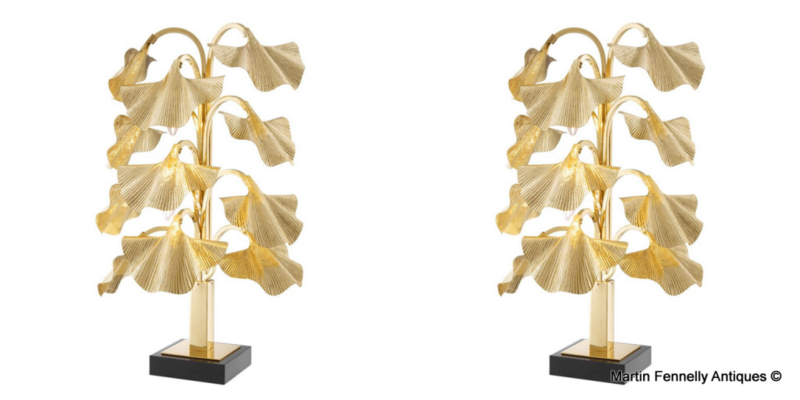 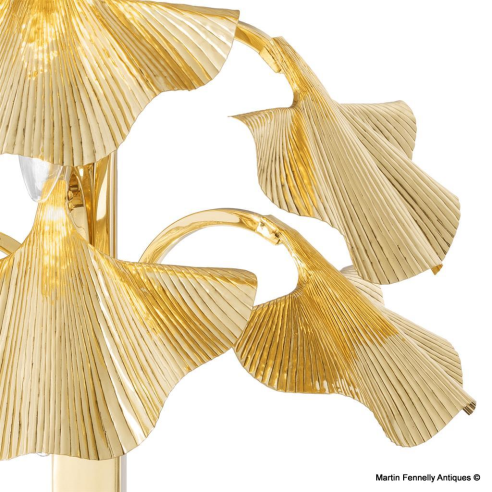 These modern designed table lamps with graduated gingko leaf silhouette make a unique style statement. This unique sculptural table lamp depicts the leaf shape of Japan's native ginkgo tree. The Gingko Tree is the ancient Japanese symbol for longevity. 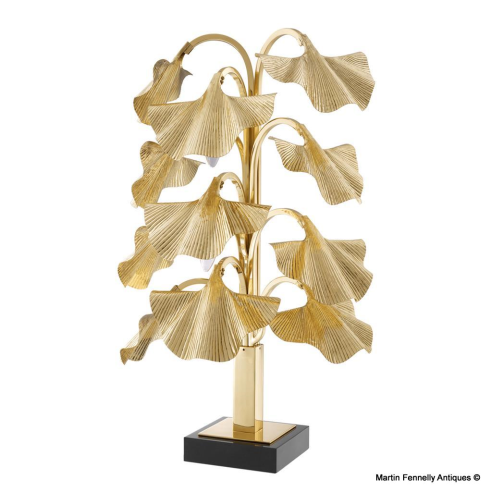 The signature shape of maidenhair leaves date back millions of years and the ginko tree is recorded as one of Mother Nature's most resilient botanical survivors as it is a living fossil which can survive for over 1,000 years. 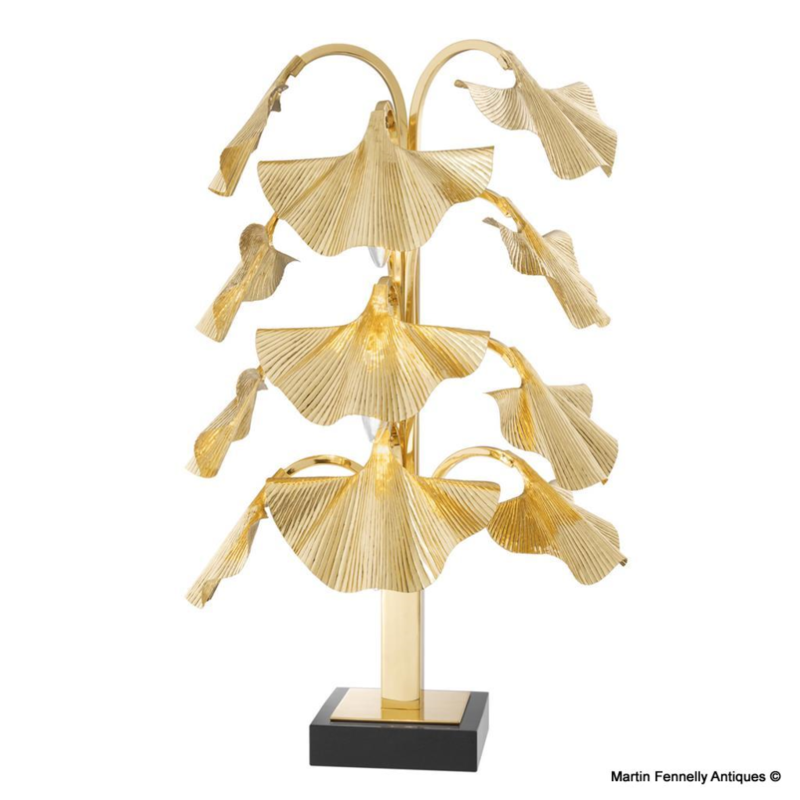 These make a striking statement and will add a soft flowing relaxed accent to the modern interior.